Some people who should know better are labouring under the misapprehension that gender determines who conducts the annual Vienna Philharmonic New Year's Concert. So let's set the record straight: it is not gender, political affiliation or even talent that decides who is on the podium in Vienna. It is money. Stories of scheming misogynistic and anti-Semitic Viennese music professors make for good click bait. But in fact it is executives in sharp suits analysing potential income from the sale of media rights that decides who is passed the baton each year. Willi Boskovsky's nineteen year reign at the New Year's Concert ended in 1979, and since then rent-a-podium has ruled. The New Year's Concert is a gold mine: it reaches the largest audience of any classical music event and TV rights are sold to 90 countries where it reaches a global audience of 50 million. On top of this massive earner comes the equally massive income from DVD and CD releases and streaming services. Sony are rush releasing a double CD and DVD of the 2018 concert this month - see artwork above. 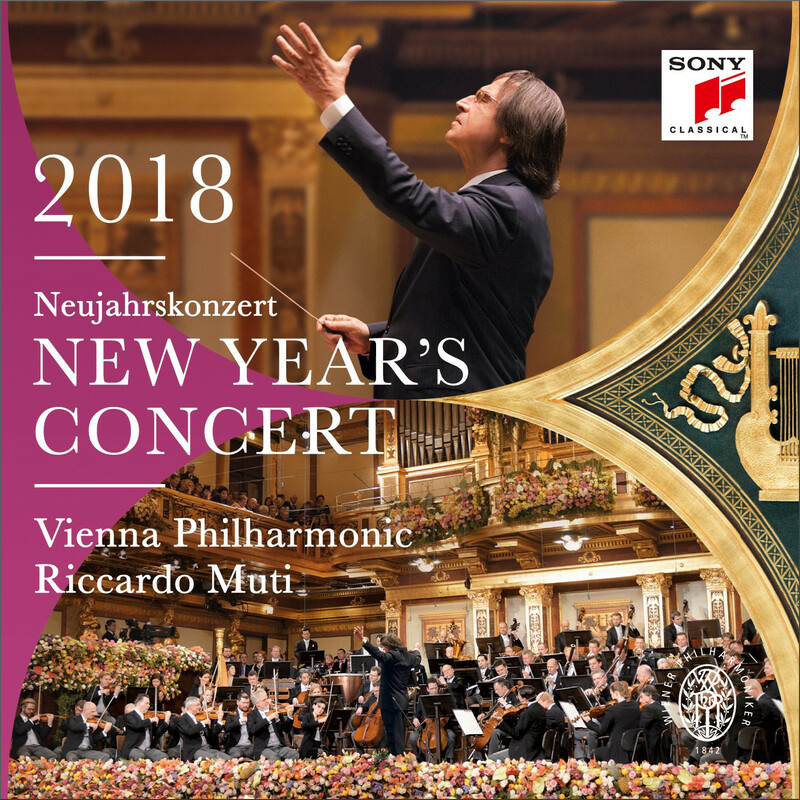 2018 was the fifth time Muti had conducted the Vienna bash, and the annual media bidding war means this year's Sony release follows Muti New Year's Concert media packages from Philips in 1993, EMI in 1997 and 2000, and Deutsche Grammophon in 2004. Of course the financials for the New Year's Concerts - it is given three times - are secret. But a quick and dirty calculation is illuminating. Published BBC information puts a cost ranging from £20k to £750k per hour for buying in entertainment TV programmes, with the higher figure applying to 'premium' entertainment. All 90 countries broadcasting the concerts do not pay BBC rates; so a guide to the income from selling TV rights for the Vienna concert is a conservative £50k per hour x 180 hours = £9 million (€10m/$12m). To this must be added income from radio rights, DVD/CD licensing and streaming, ticket sales - top price €1090 per ticket - plus sponsorship from global brands such as Rolex. So an informed guess puts the income from the concerts at around £12 million. As a comparison the budget for the 70+ concerts in the BBC Proms series - some with conductors earning higher fees even than Muti - is also around £12 million. From this it can be seen the three New Year's Concerts are a veritable money tree that just needs to be shaken gently every January 1st by a celebrity with the right media connections . So it will be Christian Thielemann - signed to media behemoth Universal Music's Deutsche Grammophon label - and not a woman at the Musikverein in 2019. Because as yet no female conductor has the global celebrity pulling power and corporate media backing to buy their way onto the New Year's rent-a-podium. But that will change soon. In a few year's time classical music will be rejoicing over the announcement of a celebrity woman conductor for the New Year's Concert. Which means that women musicians will then have become willing accomplices to an avaricious and self-interested music establishment that for decades has quite unacceptably marginalised them. wonder if young Mirga Grazinyte-Tyla will be the first woman?